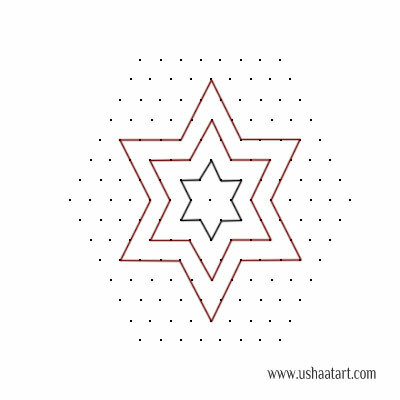 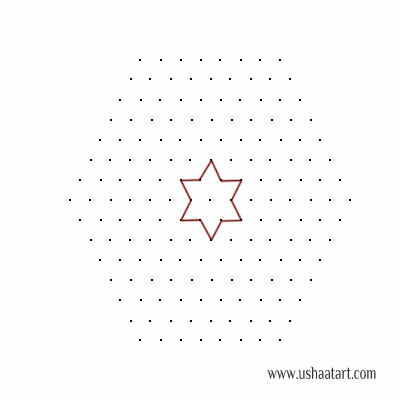 Put 15 dots then interlaced dots (Idukku Pulli) stop at 8 dots as shown below. 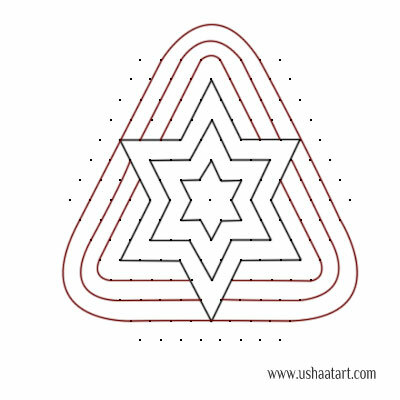 Draw Triangles as shown below. 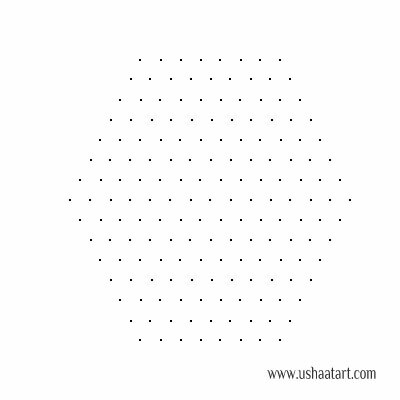 Erase remaining dots and circle the middle dot. Color the kolam. 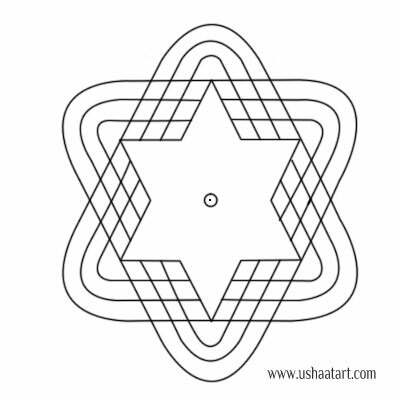 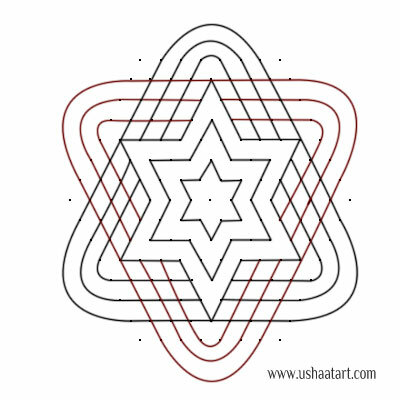 Variation : Erase middle two stars.